Love life's simple pleasures? And its guilty ones? 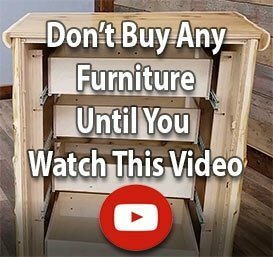 This reclaimed wood furniture line is for you! Where can you find handcrafted, rustic furniture that feeds your love of dinner with family, wine with friends and homemade jam? 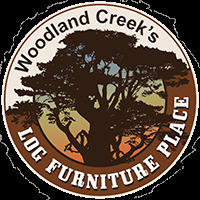 Woodland Creek's Log Furniture Place! This barnwood furniture collection celebrates all facets of your personality: Win big at our Game & Dining Table. Treat yourself to a Reclaimed Barnwood Jelly Cupboard. Drink in our Barnwood Side Board & Wine Cabinet. Rustic decorating and country decorating have exploded in recent years. With them so have the opportunities to design, build and display gorgeous cottage furniture and country decor or cabin decor creations which would leave you breathless. This line – made in the U.S.A. – is among them, benefiting from a multi-step antiquing process that results in a unique finish every time!